Call for Papers for the Fourth International Conference of the Association for the Study of Esotericism and Mysticism in collaboration with: National Mining University, Department of Philosophy (Dnipropetovsk, Ukraine) H. S. Skovoroda Institute of Philosophy (National Academy of Sciences of Ukraine) Ukrainian Association of Religion Researchers Research Center for Mysticism and Esotericism (St. Petersburg, Russia) Centre for Religious Studies and International Spiritual Relations (Donetsk, Ukraine) The Secret and the Manifest: The Variety of Representations of Esotericism and Mysticism 2-4 December 2010 Dnipropetrovsk (Ukraine) The presence of elements of esotericism and mysticism in contemporary culture can scarcely be overestimated. At the same time there is still the stereotyped view on esotericism as based on some ‘secret knowledge’. The various actual public (re)presentations of ‘esoteric knowledge’, however, question the notion of its secrecy; esoteric and mystic phenomena require more accurate categories for description. The dynamics of the representation of these phenomena in different forms of media, in films or museums etc. on the one hand, and the dialectics of global and local dimensions in the history and the present of esotericism and mysticism on the other, are the issues to be discussed at the fourth annual conference ‘Mystic and Esoteric Movements in Theory and Practice’ organized by the Association for the Study of Esotericism and Mysticism. Special attention should be paid not only to the variety of manifestations of esotericism and mysticism in the contemporary media scene but also to their interrelations with other social formations and institutions such as the dominating forms of institutionalized religiosity, the political mainstream in the matter of religion and spirituality and last but not least the academic study of religions and culture. The conference organizers hope that this scholarly forum will contribute significantly to the development of this promising area of research. 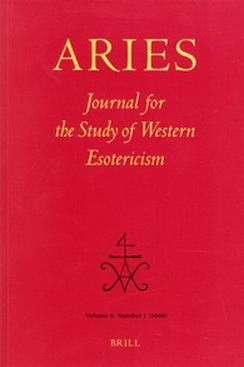 The study of the representations of esotericism and mysticism circulating within the esoteric and mystic environment itself, in their public perception via mass media and within academic circles may lay the ground for further development in the field of the study of mysticism and esotericism in Russia and other post-Soviet countries. We invite suggestions for possible sessions as well as paper proposals dealing with the study of this phenomenon through various academic disciplines. 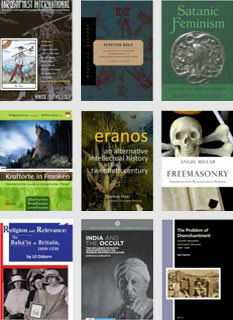 Papers can be submitted on, but are not limited to the following sub-themes: • esotericism, mysticism and media: theoretical aspects of interrelations; • global and local dimensions of esoteric imaginations; • theory & method in the study of mysticism and esotericism; • problems in the representation of mystic experiences; • hermeneutics of esoteric imagery; • historical development of esoteric symbolic forms; • symbolic language characteristics of esotericism and mysticism; • self-presentations of esoteric groups in the mass media and other media forms; • representations of mysticism and esotericism in museums; • esoteric and mystic images in film; • imagination and visualisation in mysticism and esotericism. Conference Languages – Russian, Ukrainian & English Applications for the conference are to be sent to the address of the organizing committee conference.esot2010@mail.ru by 01 October 2010. We kindly request to fill in the forms in the following manner: 1. Full name: 2. Date of birth: 3. Academic degree: 4. Home address: 5. Place of work: 6. Current position: 7. Contact phone: 8. E-Mail: 9. Need of accommodation (yes/no): 10. Need of an official invitation from the Organizational committee (yes/no): 11. Need of technical equipment for your report presentation (yes (please, specify which equipment you need)/no): 12. Paper title: 13. Short paper abstract (approx. 200 words): 14. The language of the paper presentation: The decision on the applications will be communicated within a week after the deadline via e-mail. Style sheet The organizing committee plans to publish selected papers in the conference proceedings (minimum editing in cooperation with authors will take place where required). The papers of authors who do not present their papers during the conference cannot be published. The size of the full paper text including footnotes and bibliography should be between 10.000 and 20.000 characters including spaces (calculated e.g. by the MS Word feature). The text is to be sent to the organizing committee in electronic form (accepted formats are *.doc or *.rtf) by 01.11.2010. The model paper text is available at the homepage of the ASEM. It can also be sent per e mail upon request. Conference Fee The conference fee is 20 Euro (for participants who are not from countries of the Commonwealth of Independent States). The fee is to be paid upon registration. Addresses of the Conference 49005 Ukraine, Dnipropetrovsk, Karl Marx avenue, 19. National Mining University, Department of Philosophy, lecture room 1/117. Phone (+38)0562-470211, fax (+38)0562-470835 Conference E-mail and Homepage For additional information about the conference, please send an e-mail to the conference organizers ( ). The latest information about the conference will be published at the homepage of the Association for the study of Esotericism and Mysticism (ASEM) http://asem.ucoz.org The Organizing Committee Chair: Prof. Dr. Julia Shabanova (Dnipropetrovsk, Ukraine), Dr. Sergey Pakhomov (Saint-Petersburg, Russia) Members: Prof. Dr. Andrey Zabiyako (Blagoveshchensk, Russia), Prof. Dr. Igor Kozlovsky (Donetsk, Ukraine); Prof. Dr. Ludmila Filipovich (Kyiv, Ukraine), Prof. Dr. Birgit Menzel (Mainz, Germany); Dr. Yuriy Zavhorodniy (Kyiv, Ukraine); Dr. Sergey Kapranov (Kyiv, Ukraine); Vadim Zhdanov (Erlangen, Germany).